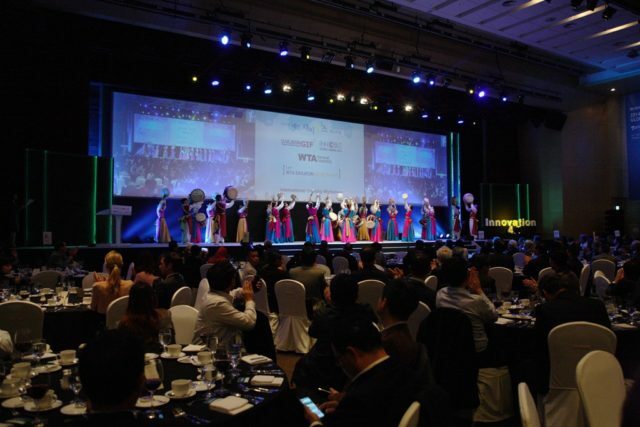 Korea kicks off the year with several major international congresses and corporate incentive tours recently secured for 2017 - 2024. Early on, the Korea Tourism Organization (KTO) celebrated its 17 million mark of inbound tourists of previous year. Korea expects to welcome more visitors this year as the 2018 PyeongChang Winter Olympics is drawing near and the Test Events are ongoing until April. Among Korea’s new bid wins are the 28th International Congress of Transplantations Society in 2020 at Seoul (5,000 participants), the 37th International Geological Congress in 2024 at Busan (6,000 participants), and the World Biomaterials Congress in Daegu (3,500 participants). Several incentive groups such as E. Excel International (International), Mercuries Life Insurance (Taiwan), and CHARLE (Japan) are scheduled to visit Korea on the first half of the year. The largest convention expected in Korea this year will be the UIA 2017 Seoul World Architects Congress which will be held in COEX, Seoul. This event will be attended by approximately 30,000 participants, 5,000 of which are foreign delegates from 120 countries. Last year, Korea successfully hosted the Rotary International Convention in KINTEX, bringing over 21,000 international delegates to Korea. Survey shows that participants of the said event lauded Korea for its impressive tourism infrastructure, beautiful landscape, and efficient hosting of the event. KTO, through Korea MICE Bureau, will continue to promote Korea as a top business events destination by participating in major event tradeshows. This starts at the AIME tradeshow (booth #3400) on February, where visitors can not only receive consultations, learn about new programs and venues of Korea, but they can also enjoy a Virtual Reality (VR) ski experience of the much anticipated 2018 PyeongChang Winter Olympics along with Korean traditional arts & crafts activities. Korea MICE Bureau will also attend IMEX, IBTM World, ITB Asia and hold road shows in London, New York, Mumbai, Tokyo, and Southeast Asian countries.